Seminal London comedy club The Comedy Store has announced the opening of several new comedy nights around the country including Melton. 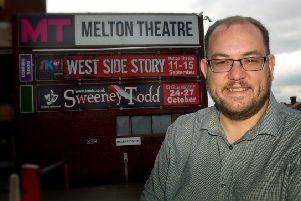 Soon to be celebrating 40 years in the business, The Comedy Store, in conjunction with promoters Live Nation, will be heading to Melton Theatre on September 27, November 1 and February 14. Don Ward who opened The Comedy Store in 1979 said: “The Comedy Store team are delighted to be delivering laughs to new audiences in Melton.